Today’s Gospel from John reflects the First Reading from the Book of Joshua where a choice is given to the believer; whether, or not, they will follow God and – ultimately – gain salvation in Heaven. In order to examine this, it is helpful to understand the stakes, and the process. Sanctification – Process of being made holy. Justification – (Juridical issue) Is a sinner “being made right” with God. Sanctification, Justification and Salvation are all interlinked. Salvation is being in heaven – “being saved.” We cannot be saved unless we are first justified. We cannot be justified unless we have both faith and works (of charity). The “second sanctification” is a lifelong process in which a person grows in the likeness to God by “faith-fully” cooperating with divine grace. The “third sanctification” takes place when a person enters heaven. 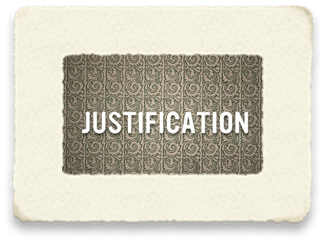 Justification – (Juridical) Is a sinner “being made right” with God. Through the removal of sin, and not merely having one’s sins ignored or no longer held against the sinner by God. Through the renewal or sanctification of a person, by means of God’s grace, accepted through belief that God is to provide that (“faith”) who thus becomes holy and pleasing to God and an heir of heaven. Salvation is the ultimate deliverance from sin and its consequences. Ultimately being in a state that is pleasing and acceptable to God. by God rewarding the effort spent in cooperating with grace in order to be delivered (Sacraments and the life of virtue). If you want to reach salvation, you must live your faith intentionally. If you want to live your faith intentionally you have to choose. 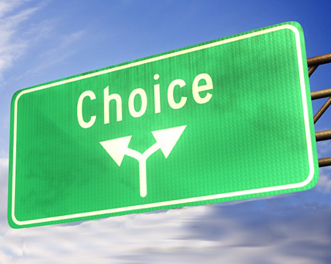 Choosing has the ultimate reward – achieving salvation or heaven. But choosing also has a cost. O God of infinite wisdom and power, why do you have us choose? Our decisions can wreak such havoc! 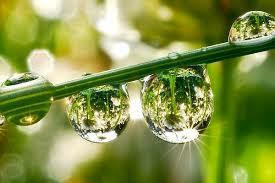 “Give me your love, poured out freely, whether a deluge – or a morning dew. Know I will love you as you choose. Before committing a major crime with his gang, John Dillinger one said, “Ok guys, it’s going to be hard; it’s going to be dangerous. If any of you want to, you can leave now.” So they had to choose. Therapist to patient (dealing with addictions, alcohol, life in chaos, etc…) “Do you want to ‘live?’” He had to choose. Many of Jesus’ disciples who were listening said, “This saying is hard; who can accept it?” (Gospel of Mark, Chapter 7) They had to choose. Abruzzi Ridge Why? 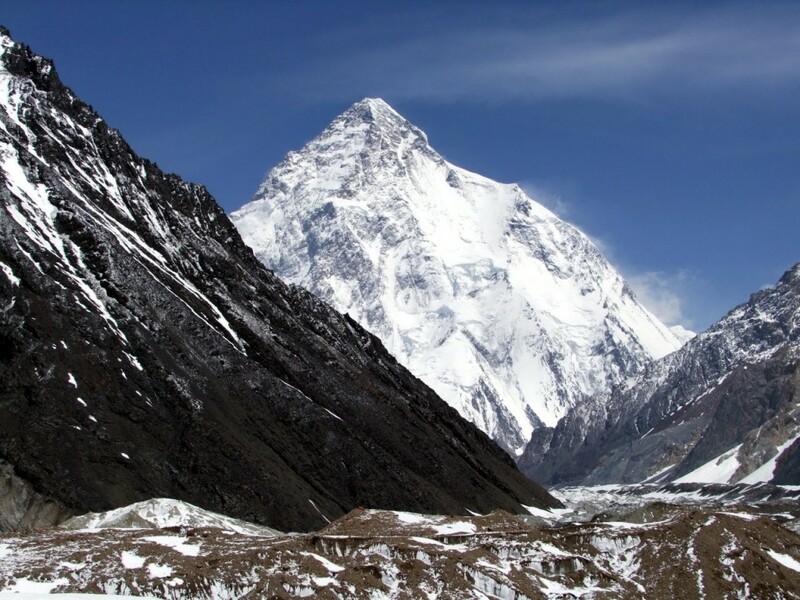 Easiest, tested and proven by many over many years, surest way to the summit and the goal. You will be asked to take what has happened to – positive and negative – and to allow God to use that to lift up others. It has its rewards, in this life – and the “Beatific Vision” in the life to come. Here – a dance may be learned. – to begin the dance. Justification, sanctification, and salvation are all interlinked. We cannot be saved unless we are first justified. We cannot be justified unless we have both faith and works (of love). Following this, we cannot be saved by faith alone, for we are not justified by faith alone. The two are interwoven in Catholic theology. The “first sanctification” takes place at baptism, by which the love of God is infused by the Holy Spirit (Romans 5:5). Newly baptized persons are holy because the Holy Trinity begins to dwell in their souls and they are pleasing to God. The “second sanctification” is a lifelong process in which a person, already having received God’s grace, grows in the possession of grace and in the likeness to God by faithfully corresponding with the divine inspirations. The “third sanctification” takes place when a person enters heaven and becomes totally and irrevocably united with God in the beatific vision. Concerning the via negativa, justification is a true removal of sin, and not merely having one’s sins ignored or no longer held against the sinner by God. Concerning the via positiva, it is the supernatural sanctification and renewal of a person who thus becomes holy and pleasing to God and an heir of heaven. Its secondary purpose of justification is the eternal life of mankind. The main instrumental cause (or agent through which this occurs) is the sacrament of baptism – the “sacrament of faith” which spells out the necessity of faith for salvation. Its essence – or what constitutes justification – is the justice of God, “not by which He is just Himself, but by which He makes us just,” namely sanctifying grace. 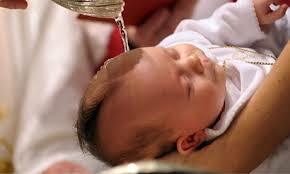 An infant is justified by baptism and the faith of the one who requests or confers the sacrament. Adults are justified the first time either by personal faith, sorrow for sin and baptism, or by the perfect love of God (an implicit “baptism of desire”). 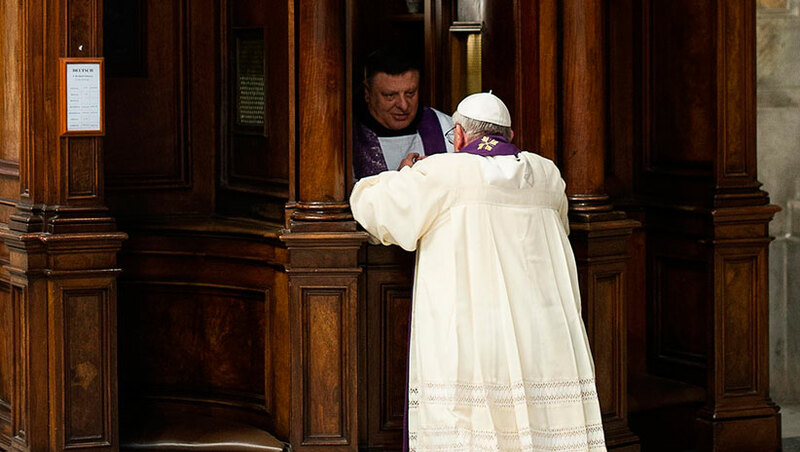 Adults who have sinned gravely after being justified can receive justification by sacramental absolution (Sacrament of Reconciliation) or “perfect contrition” for their sins. Salvation – Salvation (aka, “righteousness” or being in a state that is pleasing and acceptable to God = heaven) is deliverance from sin and its consequences. It has four aspects, which are found in Sacred Scriptures, and Sacred Tradition as taught by the Church. by rewarding the effort spent in cooperating with grace in order to be delivered. According to “reformation theology” (Protestant), “sanctification” is treated separately from “justification” because it logically has to be if “salvation by ‘faith alone’ ” is true. But by divorcing justification from sanctification, they separate salvation (aka “justification”) from holiness (aka “sanctification”), which is impossible and illogical. From Catholic Answers, Discussion on Salvation, Justification, Sanctification, etc.